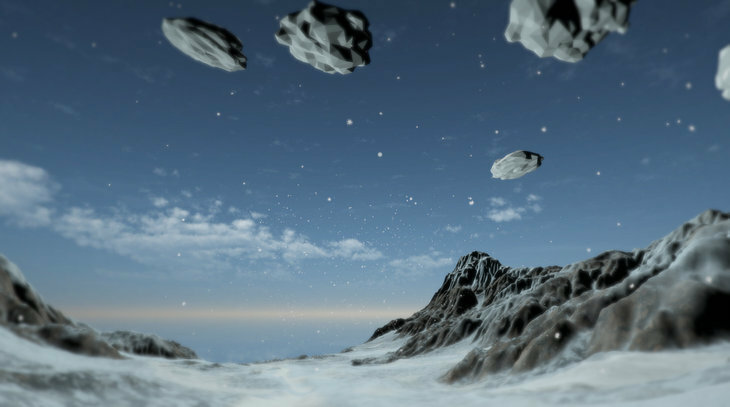 We're huge fans of virtual reality being used by artists and have seen two brilliant exhibitions use this technology well, Jon Rafman and a group show at Gazelli Art House. Now comes the turn of Shezad Dawood, in his first show at Timothy Taylor Gallery. Neon and a pink fluorescent motif on the walls hint at an unorthodox show. 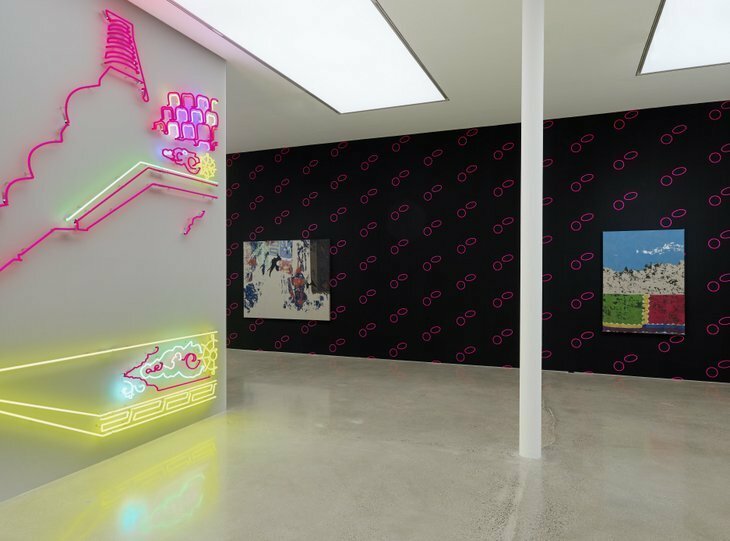 Entering the gallery, it's immediately obvious that this isn't your typical Mayfair gallery exhibition — neon artworks abound, and one wall is covered in a black fabric with a fluorescent pink motif. The concept of the show stems from Dawood's research into the Himalayan hill town of Kalimpong. Many stories intertwine with this town including the explorer Alexandra David-Néel's first meeting with the Dalai Lama, suggestions of espionage and the search for the Yeti by American billionaire Tom Slick. All of these stories are referenced in the paintings and sculptures, but only loosely. 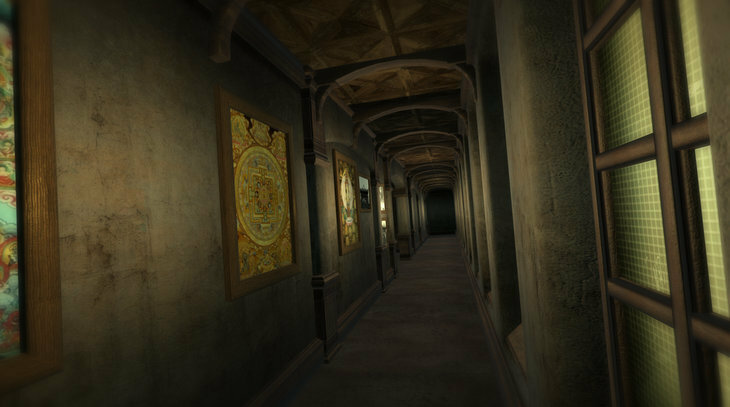 Bringing the tales to life involves stepping into another room and donning a virtual reality headset. We won't spoil it but the journey involves temples, caves and a disorienting finale — all referencing the history and architecture of Kalimpong. It's a great touch that the virtual section of the exhibition feels more real than the physical part. It's Dawood's way of challenging us to question which is the true reality. 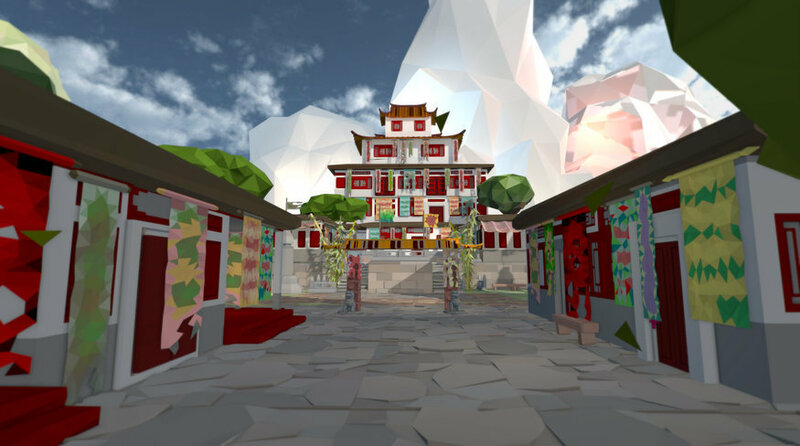 We're enjoying seeing artists turn their creativity towards virtual reality and this show is another impressive use of the immersive technology. This is likely to be a popular exhibition and we've seen this result in lengthy queues, as was the case with Kusama's pumpkins. The gallery clearly knows this too, and is allowing visitors to book a time slot ahead of their visit, or simply turn up and wait their turn. Shezad Dawood: Kalimpong is on at Timothy Taylor Gallery, 15 Carlos Place, W1K 2EX until 22 October. Entrance is free and the gallery is open Tuesday to Saturday.